News broke this week that Morrisons will be bringing back the Safeway brand after an 11-year absence from shoppers’ shelves. Morrisons will produce Safeway branded food products which will be sold wholesale into independent convenience stores across the country from early next year. Morrisons bought Safeway in 2004, an acquisition which helped Morrisons to expand across the country to become one of the major operators in the supermarket industry. But this begs the question, why have they chosen to supply independent convenience stores with this well-loved brand, rather than save it for their re-emergence into the convenience market under the Daily stores fascia? The answer can be found by looking at recent LDC data. For the six months to June 2016, independent retailers have experienced positive change in their market, with the net openings within the entire independent retail sector being in the black at +4 stores. This may not seem like a very large number, however it marks a change in times, as in the same six month period in 2015 they saw a decline of -194 shops. 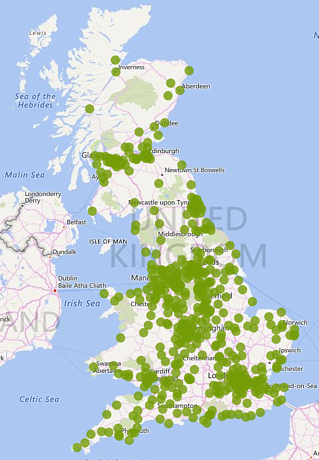 Could this mark a return to strength for independent retailers across the UK? Is it a reflection of the convenience that consumers now value? Delving deeper into this trend using LDO, LDC’s location intelligence platform, we can start to find out if certain types of retailers are leading this revolution. We looked at the four main types of retailers, comparison goods retail (physical goods, e.g- clothes, homewares, card shops etc), service retail (estate agents, banks, hair salons and nail bars), leisure (food, drink and entertainment) and convenience retail (supermarkets, delicatessens, butchers and bakers). Only one of these categories did not experience growth in store numbers over the last 12 months which was independent comparison goods retailers, with a decrease of 1,148 (-1.4%) stores compared to November 2015. 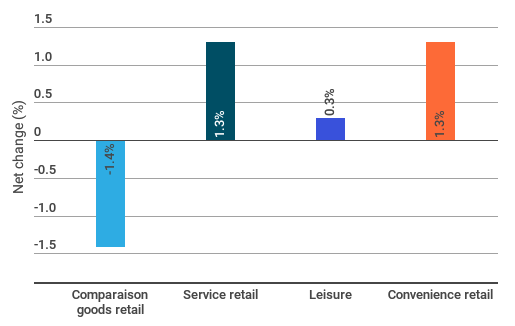 The other three enjoyed varying rates of growth; independent leisure retailers increased by +305 stores (0.3%), independent service retailers increased by +1,199 stores (1.3%) and independent convenience stores increased by +366 (also 1.3%). Across the top 20 convenience multiple retailers (retailers with 5 or more stores nationwide), there was almost a -3% decline in store numbers. This reveals a marked trend that indicates that the growth in the convenience sector sits, at the moment, with the independent retailers. This reveals a marked trend that indicates that the growth in the convenience sector sits, at the moment, with the independent retailers. This might go some way to explaining the rationale behind the decision for Morrisons to place most of their convenience retail ‘eggs’ in independents’ baskets. It’s a more cautious way for them to make a re-entrance into the convenience market, to support the launch of their new Daily stores fascia after closing 140 M Local stores last year. For more information on the convenience market, see our recent report that looks at the trends in the convenience stores market between 2011- 2015 for both independents and multiples.